Stunning dresses tailored to fit all body shapes and sizes. Get the perfect silhouette, style, length, & neckline you have been looking for. We can also repurpose a vintage dress into a modern creation unique to you. The style you always dreamed of finally becoming a reality. We tailor wedding tuxedos & suits. Customize them to complement your bride in a subtle or in a big way. We create bridesmaid and mother of the bride dresses. We also create custom veils, sashes, belts, & ring bearer pillows. Anything you need we have you covered. You have probably spent days or months looking for the perfect dress while juggling every aspect of your big day. Take the stress out of finding the right gown by designing it or putting the alterations in hands you can trust. Custom tailoring and designing for DFW since 1995. All fittings are done in the comfort of your home or office. Call now to set an appointment. We only take a limited number of appointments each month. Thank you! We will contact you in 24 - 28 hours. 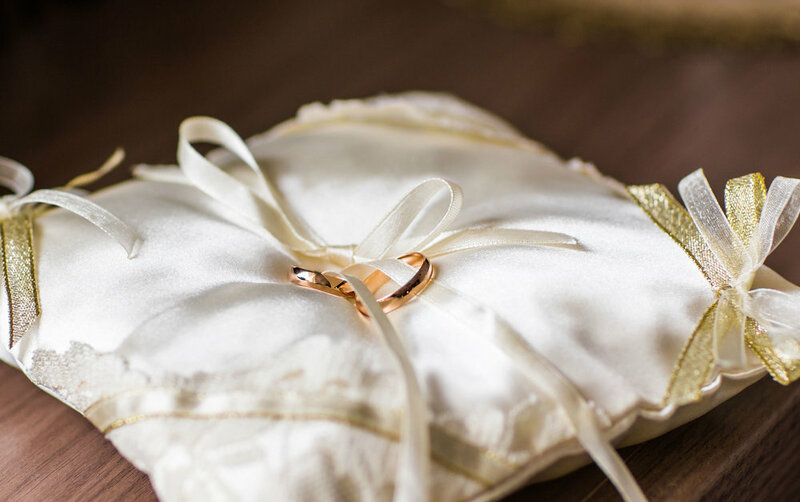 We can’t wait to help make your day special.